Why under carpet warming pads? Under carpet warming pads provide a versatile way to warm a room. Have a basement room that’s too cool for comfort? Your room is crowded with furniture so you don’t want to use a space heater? Concerned your children will burn themselves on a conventional space heater? These are three good reasons to use under carpet warming pads. There are many more reasons to consider using this approach to space heating. Lay it under carpet or an area rug; it can augment your padding to create just a little more comfort to your flooring too. Is your feet cold no matter how warm it is in your home? There is a way that you can help warm up those feet, so that you can be more comfortable walking around your home even in bare feet. Under carpet warming pads are a great way to help add heat to your floors without having to take up your floors entirely to install a radiant heating system. They are easy to install and can help to turn any flooring area into a warm and cozy place to sit, stand, or walk. This can especially be a life saver in places where it stays cold for a better part of the year. Considering the huge power bills resulting out of regular heater usage, an economical way to do this would be to keep the flooring warm. What are under carpet warming pads? Under carpet warming pads are pads that can be placed under your area rugs or carpeting; they add radiant heat to your floors. These thin pads have heating coils that runs through them to help warm up the entire room. Heat rises and the under carpet warming pads can help make any room feel warmer and cozier. These under carpet warming pads are made by several different companies, so you are sure to be able to find them for the floors in your room or home. Just think how great it would be to climb out of bed with bare feet and feel warmth instead of coldness. The under carpet warming pads can aid in making any carpeted surface comfortable, because you can find the warming pads in several different sizes. They come in smaller, bathroom rug sized pads or larger room sized pads, whichever you need for your home. You can step out of the shower or get out of the bed with warm footsies and this can be much more comfortable. A lot of people have come to love these warm carpets. The surge in sales and enquiries attests to this. Warmly Yours is one company that makes under carpet warming pads. Their pads are very thin and can be installed under any type of floating flooring without cement, which is not the case with other radiant heating systems. It is installed directly between the padding and flooring choice. This company claims that the under carpet warming pads can also decrease your energy bill, because the heat will radiate up into your room, saving your heating system some effort. Installing these does not take any expertise and in most cases, can be done by owner himself. 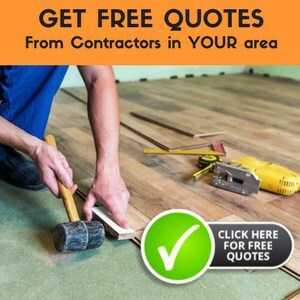 However, this depends on the type of flooring you have. It is always best to consult with the store owner before taking a decision in this regard. What are some other benefits of under carpet warming pads? It is a quiet way to keep your room warmer. It can be healthier than a forced air system, because you will not have to worry about pollen, mildew, mold, etc. as you do in a central heating system. It can also decrease dust mite exposure by up to eighty percent. When the cold is taken out of the equation, it also eliminates the possibilities of a lot of allergy induced asthma problems. Also, a warm carpet makes it so much easier to clean the room because there is almost no moisture. The heat is more evenly dispensed than with other heating methods. You don’t need to install any special devise to ensure uniform distribution of heat to all parts of the house. Since the floor already runs through the whole house, by using it as a medium to spread heat, you have maximum chance of uniform heat distribution. Under carpet warming pads can be just the thing to help make your mornings better and winter warmer. They are easy to install and easy to use to help make your floors and entire home warmer and more comfortable. Using under carpet warming pads to warm up your bedroom, bathroom, or other room can be just the thing to keep your feet and the rest of your body warm during even the coldest of winters.